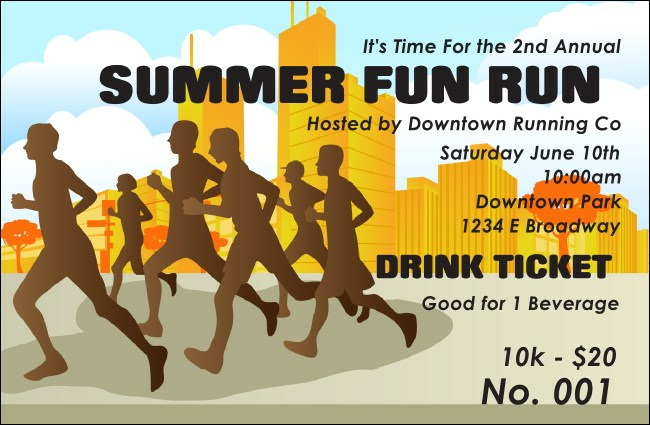 Keep race day organized by when you give out the Fun Run Drink Ticket at your 5K, 10K, or marathon. The silhouettes of runners race past golden skyscrapers under a blue sky on this colorful template. Hand out to spectators and in the participants' race pack for post-race beverages.